If you have tried and failed at diets or health changes in the past, it most likely had something to do with your leptin levels. 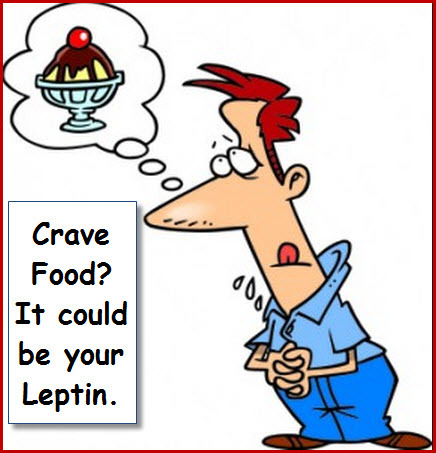 Leptin is a hormone secreted by adipose tissue (fat tissue that tells you you’re full. Ghrelin is its opposite and works to tell you you’re hungry). Because leptin is secreted by fat cells, you naturally produce more leptin as your weight increase. Studies show that the problem is not in the production of leptin but that the majority of overweight people have a leptin resistance problem where the leptin is unable to produce its normal effects to stimulate weight loss. Your body senses this resistance as starvation so mechanisms are activated that increase fat stores rather than burning excess fat. The person actually eats less but the body thinks it’s starving and triggers it to eat more. You can easily see how this would lead to weight gain. Leptin resistance damage does not stop there; it also stimulates the formation of reverse T3 which blocks the effects of thyroid hormone on metabolism. Hormonal issues are not simple; they are complex issues but they are not irreversible. Consuming large amounts of protein and healthy fats first thing in the morning; this promotes satiety and give the body building blocks for hormones. Enjoying the great outdoors; walk barefoot on the ground and enjoy the mid-day sun with some skin exposed. Do not eat at least 4 hours before bedtime and eliminate as much snacking as possible. Don’t just do cardio when you exercise…add in sprints and weight lifting. High intensity work-outs and weight lifting give the hormone the benefits of working out without the stress of cardio. Be patient; you may not get the results you want initially if you are leptin resistant because your body is in starvation mode…it is hoarding. Start with resistance weights to turn on your metabolism. The weight will start to come off when you no longer feel hungry, when you no longer crave carbs this means your metabolism has turned back on. This is the time to add a bit of cardio into your routine. Get rid of the toxins. Remove as many toxins from your life as possible. These should include all processed food and commercial deodorants. Add more Omega 3 to your diet in the way of grass-fed meats, chia seeds and fish. Minimize your consumption of Omega 6; vegetable oils, conventional meats and grains) to help support healthy leptin levels. When you are resistant to leptin’s message and it gets ignored it means that ghrelin’s message prevails. Ghrelin’s message is to tell you you’re hungry and the vicious cycle continues. Dealing with a weight resistant body is one of the most frustrating, energy draining, self-confidence killers there is. If you think you may be experiencing weight loss resistance take my 60 second test to see how you fare on the Weight Loss Resistance Scale.